Dr. Allison graduated from Tahlequah High School in 1980. In 1984 Dr. Allison graduated from Northeastern State University where he received a degree in chemistry and a minor in math and biology. 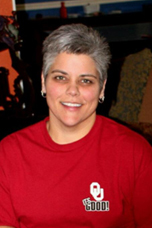 Dr. Allison is a 1988 graduate of Oklahoma University College of Dentistry. He completed a one year General Practice Residency Program at Ft. Sill, Ok in the US Army. He was sent overseas during Desert Shield/Desert Storm while stationed in Hohenfels Germany, and after 6 years he completed his military tour at Ft. Hood, Texas as chief of oral surgery. Dr. Allison has been in private practice here in Tahlequah since 1994. He and his wife Michelle have been married since 1992 and have 4 children, 3 sons and 1 daughter. They are members of Park Hill Baptist Church where Dr. Allison has been teaching the 3rd & 4th grade Sunday School class for 8 years and he also serves as a Deacon. His favorite Scripture is Proverbs 3:5-6. His hobbies include, golf, golf, more golf and going to his children's various sporting events. 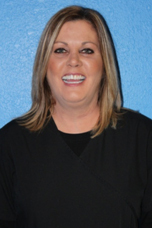 Dr. Allison enjoys all aspects of dentistry thus being a General Dentist. Comprehensive dental work not only for adults but children also. His goal is to help each patient in achieving and maintaining long term dental health and a beautiful smile to brighten up someones day. His caring staff delivers great service to make your dental experience pleasant and comfortable. 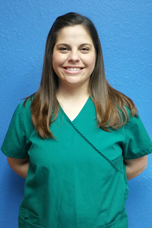 Jennifer has worked for Dr. Allison since 2001, in the front office. In her spare time, she enjoys reading, spending time with friends and going to church. Hi, I’m Tammie Harris. I was born and raised in Tahlequah, OK. and I have worked for Dr. Allison since 2001. I have three children, whom I adore: Megan, Heather and Hayden. I have also been blessed with three beautiful grandchildren. In my spare time I enjoy spending time with my children and grandbabies. Hi, I'm Sara King. 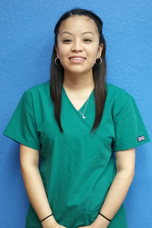 I have been working as a dental assistant since 2012 & joined Dr. Allison's office in March of 2015. I enjoy spending time with my family, fishing or at sporting events. I am married and have three wonderful boys. Hi, I'm Edith Mendez. I have been working for Dr. Allison since March of 2015. I love going out with friends and spending quality time with my family. I have three sisters and one brother. My hobbies when I'm not working include going to the movies and gardening. 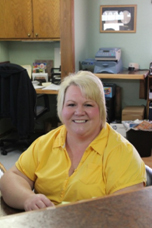 Marsha has been working behind the scenes since Dr. Allison’s clinic opened in 1994. When she is not in front of the computer working on insurance claims, she tends to head outdoors. Whether it is going on mission trips as a sponsor with her youth group at Park Hill Baptist Church, spending time with her family and friends or training for long distance runs, She tries to enjoy every minute God has given her!